This document walks through step-by-step instructions to set up your JIRA integration. In addition, any fields other than those above can not be configured as required fields. 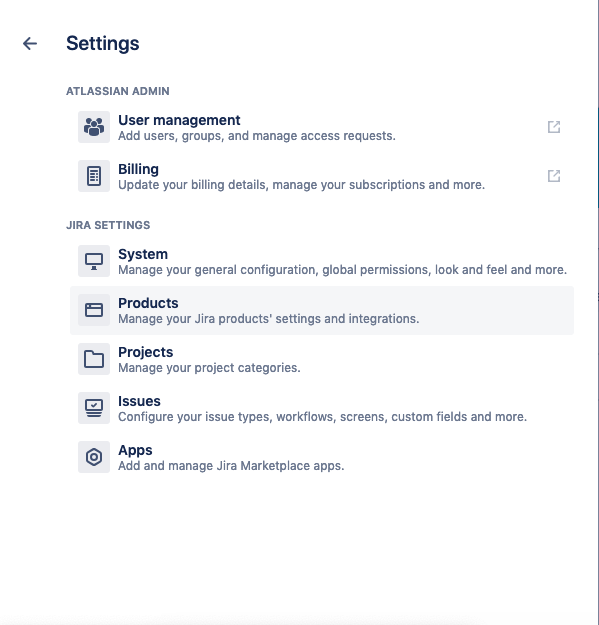 To set up Rainforest as an Application Link you will need JIRA admin access for the menu below to appear and to use it. If you do not see Application Links in your JIRA instance, contact your JIRA admin. 18. Back in your Rainforest settings page, click “Test Webhook” within your JIRA integration to test that there are no errors. 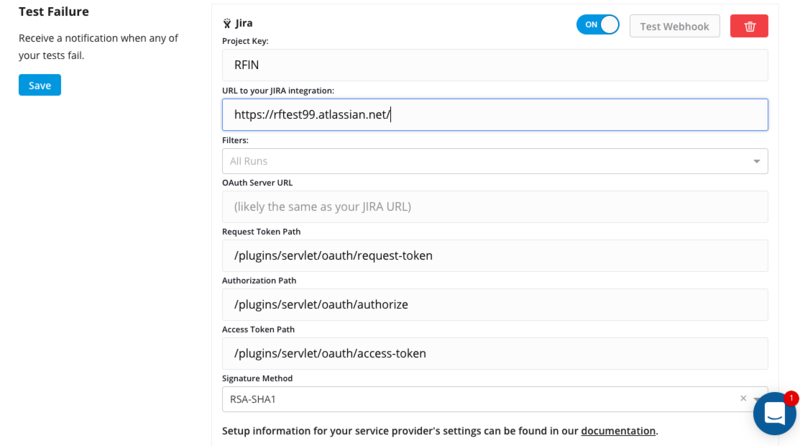 The URL you input for the "Oauth Server URL" is often the same URL as the one you input for "URL to your JIRA integration"
For the "Request Token Path", "Authorization" Path and "Access Token" Path fields, input the path only; you do not need to include a full URL.